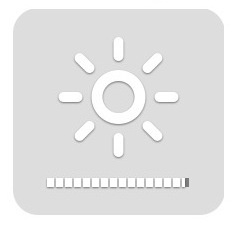 As your may know, every time Ubuntu boots up you get the maximum level of screen brightness on laptop. 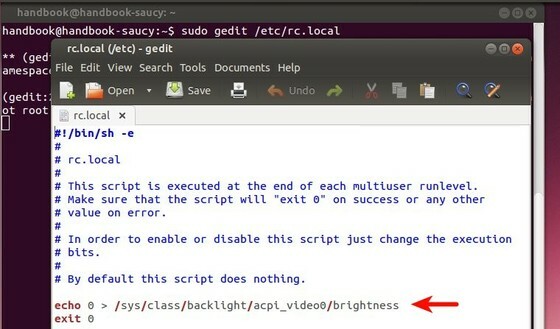 Here’s a way to save your brightness by adding a startup script which will automatically adjust screen brightness when Ubuntu boots up. It outputs the maximum level of your laptop backlight. Mine is 9. The minimum is 0. Run command below to edit the /etc/rc.local file, which is a script executed at the end of each multiuser runlevel. Note: Must be with root user, sudo does not work. after that the line in rc.local should work. Thanks, Ji m, it works perfectly. Thanks, Ji m, it works, i was looking for that for a long time. It worked on asus x55A with ubuntu 12.04. I must have something set up wrong in my Ubuntu 14.04. It didn’t work for me. is it same for the keyboard backlight ?